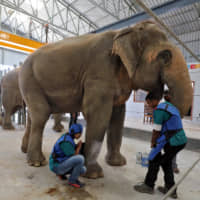 MATHURA, UTTAR PRADESH - At India’s first hospital for elephants, opened last week in the northern state of Uttar Pradesh, 49-year-old Asha placed her left foreleg on a stool for a doctor to attend to an injury while visitors filmed it all on their mobile phones. The hospital, inaugurated Friday in the Hindu holy town of Mathura, is spread over 12,000 sq. feet and is designed to treat injured, sick or geriatric elephants. “I think by building a hospital we are underlining the fact that elephants need welfare measures as much as any other animal,” Geeta Seshamani, co-founder of Wildlife SOS, the non-profit behind the hospital, said. 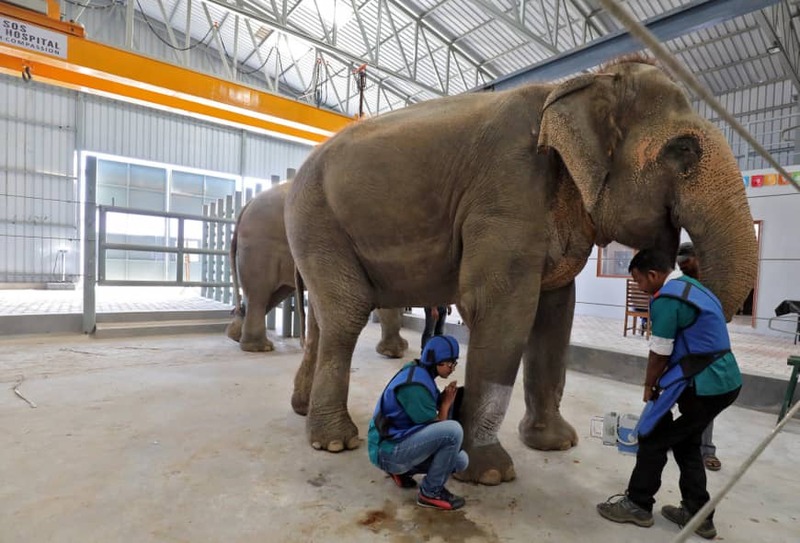 The hospital, on the banks of the Yamuna River, is close to an elephant conservation and care center run by Wildlife SOS that is home to 22 elephants. Elizabeth Ritson, a tourist from Australia, said she was glad there is now a dedicated hospital for elephants in India.